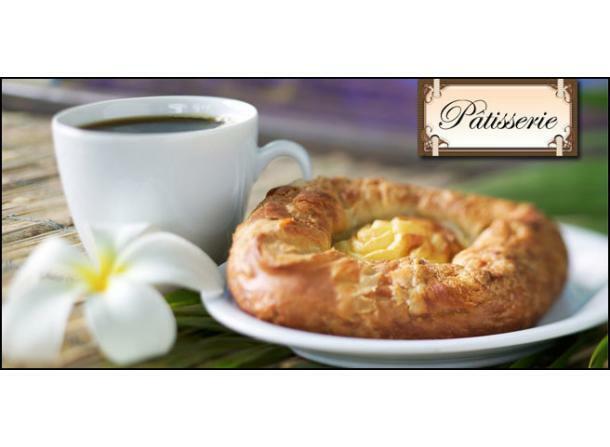 The Pâtisserie is a premier bakery serving Saginaw, MI. We offer fresh baked goods, gourmet coffee, breakfast trays, specialty dessert trays, specialty cakes, cheese cakes, cupcakes, quiche and custom baked cakes to celebrate your special occasion. We offer weekly specials. Hours: Tuesday-Friday 7 am-6 pm, Saturday 8 am-2 pm, closed Sundays and Mondays.